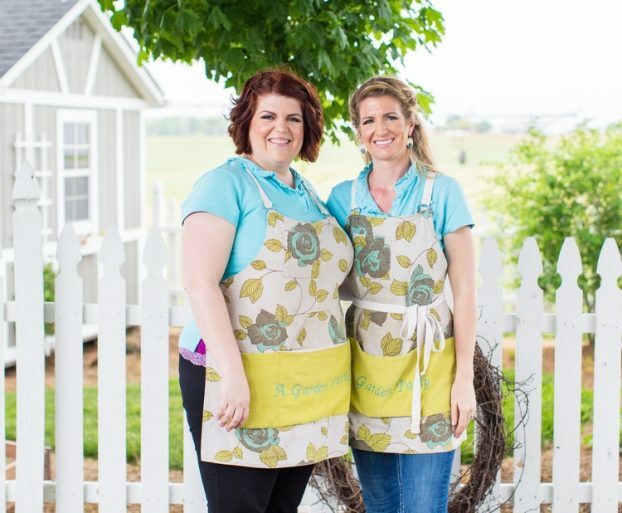 Dawn Clark (left) and Mary Coombs (right) are a sister duo with so much love and passion behind their combined creative efforts. 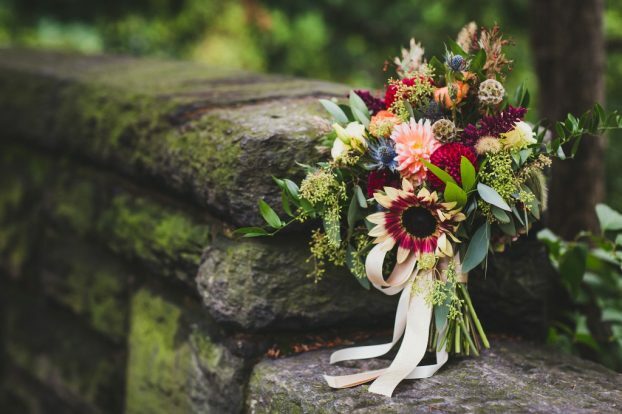 I had an instant connection with Mary and Dawn when we met, because I sensed their passion for horticulture and floriculture, and appreciated their desire to weave local flowers into their business. As it turned out, what I sensed was incredibly accurate. 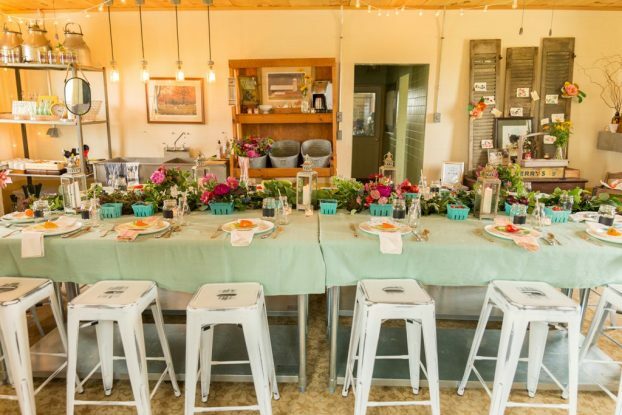 These former 4-H’ers combine a cutting garden, floral design for weddings and events, and now design workshops and private gatherings at their new event space called A Milkhouse Party. Ready for the party! at A Milkhouse Party, the new event space. On their web site, they write: we share gifts from our garden and treasures from our local growers. We spend an enormous amount of time and effort sourcing (and sometimes even growing!) these bits of beauty. The farm fresh deliveries are like Christmas morning! FRESHNESS: hand-picked from our garden by our team of designers and fresh deliveries from our local flower farmers, it just doesn’t get any fresher! VARIETY: Of those rare varieties, what garden gems they are! Also, we can hand pick the exact stems and the perfect shade of pink. ECO-FRIENDLY: This is a green industry for sure! Producing little non-compostable trash, much of our work goes back to the earth, so we should take care of it. Many of our local growers grow organically. The little bugs are a bonus in my book! 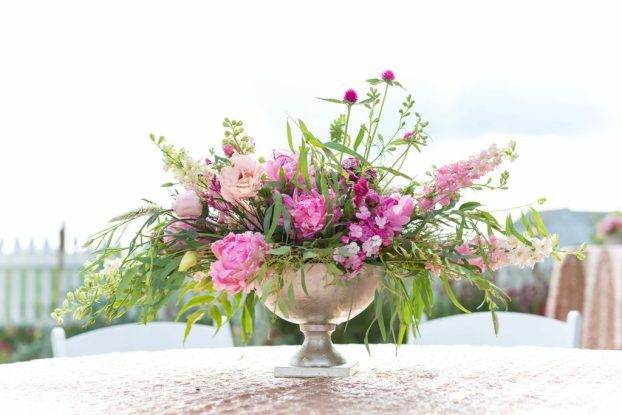 ORIGIN MATTERS: The farm to table movement has expanded to include the field to vase movement! We proudly sell locally grown and domestic blooms. We will admit that we do not sell 100% domestic product, but as the demand increases for US grown flowers, the US farms are growing as well! We hope that our studio is aiding the SLOW FLOWERS movement in some small way. 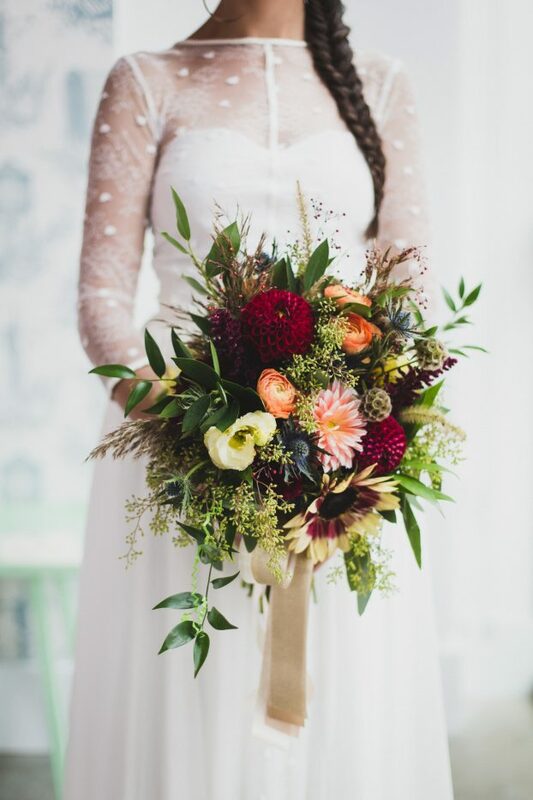 See our listing on SLOW FLOWERS or find another local florist near you committed to sourcing local flowers. 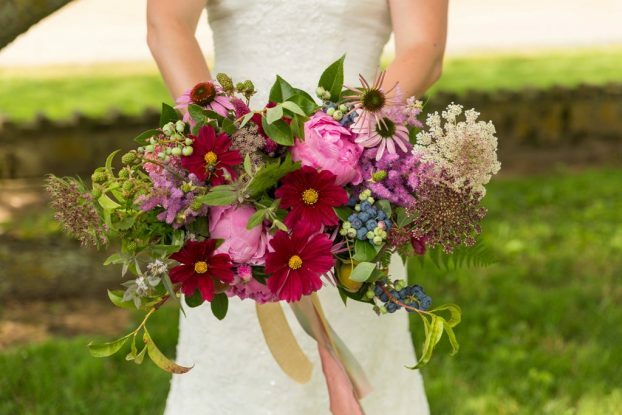 Lush and local, a bountiful wedding bouquet by A Garden Party’s Mary & Dawn. Dawn, slightly older sister, is a happy mama to two beautiful girls (Grace, 11 and Leah, 7), an obsessive organizer, an avid reader with a kindle binge every now and then, a supporter of trashy reality tv, a true beach lover (work or play!) a hermit on Mondays, a loving wife to her even more introverted husband (she says she’s the outgoing one in that relationship) and a true believer in doing what she loves: flowers! Our journey with A Milkhouse Party began way back into our childhood, when our grandfather (Leon M. Tice), a dairy farmer, used the space as his milking parlor through the ’90s. Our grandmother, Arlene, still lives on the 93 acre farm, where they started their life together in 1959. This was never just where he “worked” – it was his life. When our Poppop passed away in 2010, our hearts were broken. The milkhouse was used for storage, and over time it slowly collected dust and memories. As our sister floral design business, A Garden Party, expanded, we started to run out of room to host our DIY brides in our shop. But where could we go? We immediately thought of the old milkhouse, now owned by Mary and her husband, John Coombs. We threw open the doors, and as the light flooded the room, our memories flooded our hearts. …it was meant for all types of creative souls to embrace their gifts. 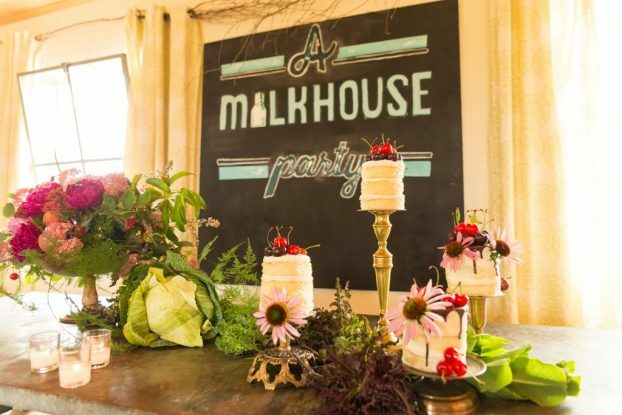 A Milkhouse Party, styled for a farm-to-table wedding photo shoot. Parties and events here look a lot like this! Thanks for joining today’s conversation! I hope you’re inspired by the values and ethos behind Dawn and Mary’s business philosophy of using a small family floral business to support flower farmers and others in their community. The Slow Flowers Podcast has been downloaded more than 129,000 times by listeners like you. THANK YOU to each one of you for downloading, listening, commenting and sharing. It means so much. This entry was posted on Tuesday, November 8th, 2016 at 10:57 pm	and is filed under Blog Posts, Creativity, Entertainment, floral design, Flower Farming, Gardening, General, Podcast Episodes, SLOW FLOWERS Podcast, Slowflowers.com the Directory of American Flowers, Writing. You can follow any responses to this entry through the RSS 2.0 feed. You can leave a response, or trackback from your own site.